Hitachi Vantara has updated more servers with Skylake processors and added variants with Optane SSD caching and Nvidia GPU support. The V123F (DS120 base) has an 375GB Optane 3D XPoint P4800X cache drive. The V120F product name is used in the latest announcement. 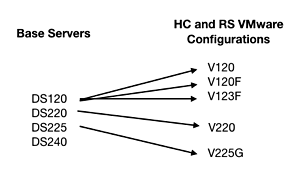 The HC systems use vSan and the RS system support VMware Cloud Foundation. Hitachi's CI systems include the latest VSP storage, UCP Advisor and see the DS220 and DS240 servers. Previously Hitachi V had a CB600 blade server line, with eight blades in a 6U chassis. There are no Skylake blade servers, or cartridge servers in this latest announcement. Existing UCP Advisor management and orchestration software supports these new servers. They feature in a Hitachi config for SAP HANA and a data lake with a MongoDB Cluster running on the RS servers. There are reference architectures for Cloudera and MongoDB with pre-tested, pre-validate infrastructure for Cloudera Enterprise Data Hub and MongoDB Enterprise. There is Pentaho Data [analytics] integration as well. These new UCP server, systems and applications offerings are available globally now or expected to be available in August.